Barborka On The Run: WRP - It's Official - Paula Is Coming!!! WRP - It's Official - Paula Is Coming!!! In case you might have forgotten, we're like best running buddies... Maybe Paula isn't that aware of that. 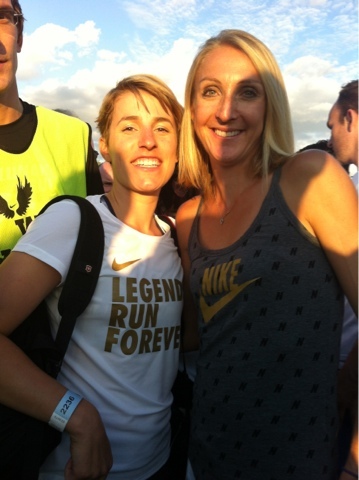 I am like over excited I might meet her again after the Legends Run Forever run at the London Olympics last summer (photo above). 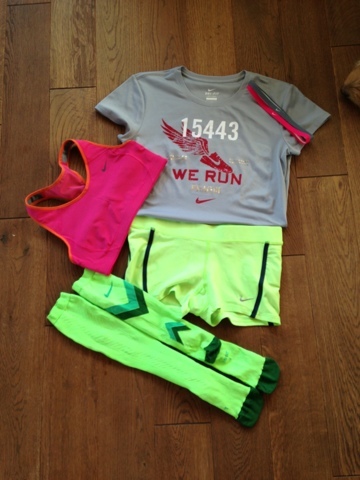 What is your favorite racing gear? What question would you ask Paula? Ahojky, no na osobák :D Tzn. rychleji než 43:15 ... ještě nevím ... Joooo a poznal jsi, je to čelenka .... tedy dvě - růžová a šedivá a ještě v té sadičce byly asi 3-4 další :) Co Ty? Běžíš?